Growing up, I did NOT like math. Through a lot of hard work and a few caring teachers, I did well in math, but often struggled and was frequently frustrated. As a parent, and now as a homeschooling parent, I long for my kids to ENJOY every subject. Math tends to be one of those subjects that ends up being a heavy “paper/pencil” activity. What does that mean? Worksheets – and lots of them. Kids get so easily bogged down and disheartened doing worksheet after worksheet. While I think worksheets are sort of unavoidable in math, I think there are many ways to add FUN to our mathematical learning. As a classroom teacher, I tried to incorporate as much hands-on play as possible into my math instruction. We used manipulatives every chance we could. We did logic puzzles. We played games. 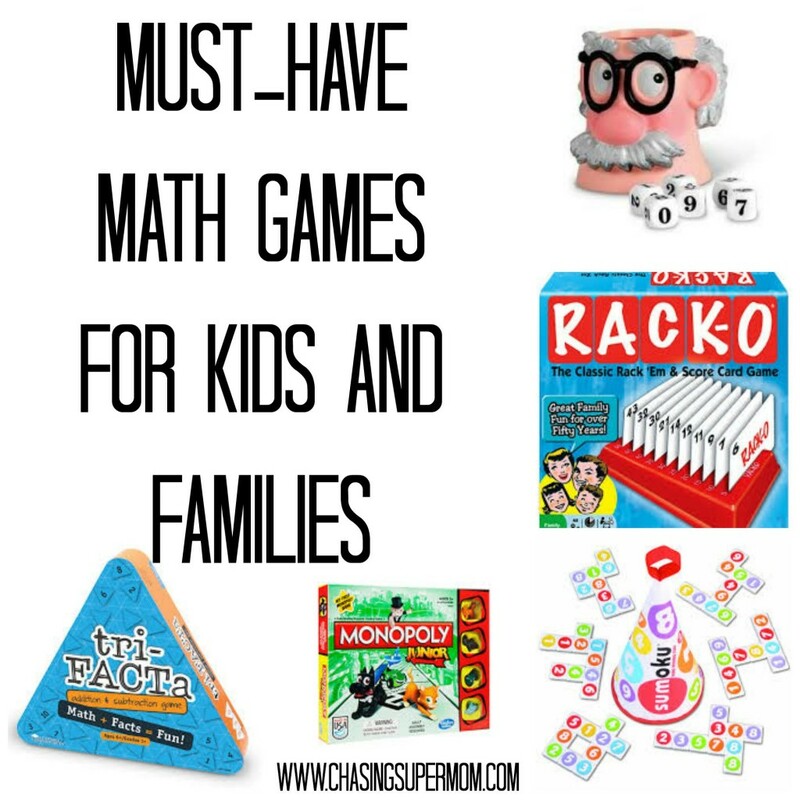 Games are a fantastic learning tool, and there are so many incredible math-related games on the market. Today I wanted to share my FAVORITE math-related games with you. I’m throwing it back to an oldie but goodie again with Mastermind. Mastermind really targets those deductive reasoning skills necessary for many different mathematical equations and problems…not to mention countless everyday life situations! Pull that game of Yahtzee off the shelf or invest in a new one because Yahtzee is more than a game of lucky rolls. Yahtzee helps your child recognize numbers in dot form, add numbers, begin to understand multiplication (“Look, you have three fives! Three groups of five is 15. ), and helps develop critical thinking and reasoning. As your child adds up their roll, they must also decide where to place their score- weighing the odds and making the best choices. In Head Full of Numbers, players race to create unique and correct math equations from the numbers rolled. Think Boggle, but with numbers! Monopoly Junior is a fun and easy way to learn the basics needed to play classic Monopoly. Kids will learn how to count money and make change as they buy up fun properties like the skate park and ice cream shop. Though more suited for older children, Sumoku is a fantastic way for kids to develop their mathematical thinking. Players must create rows that add up to multiples of the chosen number. You must work through your knowledge of multiplication while quickly adding up tiles to see if you can make a multiple. Lots of thinking and lots of fun! This game can also get competitive quickly! A game with a similar concept that is also fantastic is Mathable! Kids will love this game that allows them to “steal” piles of money. Count up your cards and let the money stealing begin! Want another great math resource? 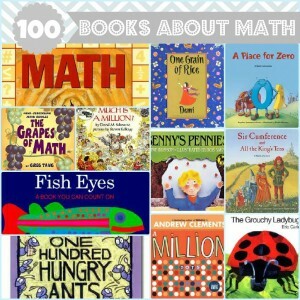 Check out my 100 Books About Math for Kids post!